Small economies make a big difference. 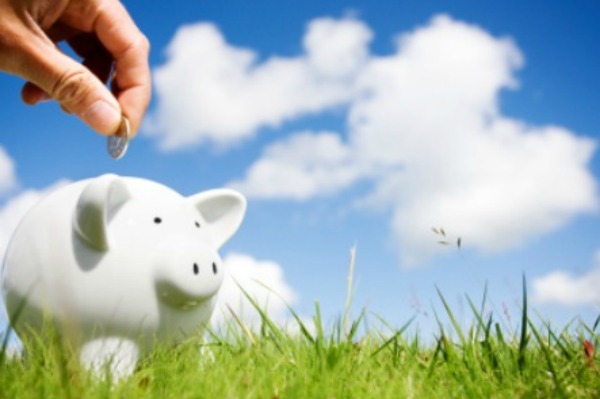 Challenge yourself to get into the habit of saving in dozens of little ways! Many people are trying to economize these days, looking for ways to cut expenses and hopefully have some extra at the end of the month for savings. It’s surprising that savings opportunities are so abundant, yet we either don’t notice them or consider them too much work for too little payoff. Why not try an experiment and get yourself into the savings habit? If only for a month, try to save money on things you do every day… even if the savings are only a few dollars. All those savings can be significant, and once you see it, you’ll believe it! Cook at home! Eating is expensive, and even feeding a family at a fast-food restaurant can cost a lot. Try to make it a month on only home cooking and see what you save. Make your own coffee. The latte habit is addictive and a drain on your wallet. Brown-bag lunch at least a few days a week… you’ll get more work done and save on calories along with cash. Make a list when you grocery shop. Impulse buys can add up. Have a budget, a list, and the resolve to stick to both. Watch the expiration dates on perishable goods so you’re not wasting, and buy frequently-used items in bulk. Don’t turn up your nose at generic brands either. Often the quality is exactly the same, so why pay for a name and pretty packaging? You don’t have to go to the level of Extreme Couponing, but do use coupons for items you were planning to buy anyway, and pay attention to those expiration dates. Buy a water filter and bottle your own water. The one-time cost is paid back quickly as you save $1 or more on each bottle you don’t buy. Save old bottles to rinse out and reuse. Avoid vending machines. It’s an impulse buy full of empty calories at an inflated price. Pack your own snacks to keep in your briefcase or desk. Get a programmable thermostat so you’re not heating the house when it’s empty. Regulate your electricity by turning off lights in vacant rooms and unplugging appliances. Invest in a power bar with an on-off switch for computers, televisions and game consoles. Look into things like your car insurance, cable television plan, and landline and cell phone bills. (Do you really need the landline phone service?) If you haven’t reviewed all of these plans in the last year, it’s time to take a look. Be sure that your coverage is adequate, but decide if you actually need all the bells and whistles you are paying for. How many television channels does your family need? Cutting your cable channels to basic service can cut your bill down to size. Look at your bank and ATM fees. Stay where you are only if it’s a fair deal with reasonable charges. Sign up for every customer rewards program you can. Even if you rarely shop at a particular store, having a rewards card will net you coupons and discounts you may benefit from at some point. Call your credit card company and ask for a rate reduction. Sometimes it’s simply as easy as asking. Tipping: How much is the right amount?